When we think of gardening, we might think just of planting seeds and then harvesting their products some weeks later, a process which draws nutrients and fertility from the soil. But every year the nutrients we harvest in the form of fruits and vegetables must be replenished or else your soil will become depleted and be useless for growing. Cover crops are one method of caring for and restoring health to your garden soil. They are often planted in the late summer or early fall, after your main crops are harvested. Depending on what you choose to plant, they might help improve soil condition and fertility, smother weeds, prevent erosion, or even decrease the likelihood of pests and diseases. Below are just a few of the more common. Buckwheat—Excellent weed control, grows quickly (1 week to substantial green and just 30 days to flower), even mature plants are easy to kill by pulling or cutting down with a hoe. Plant directly in dead plant material a couple of weeks later. Annual rye grass—Good weed control and minimizes erosion and soil compaction in high traffic area. Plant in fall before soil temperatures drop below 60F and till under when plants are 6”-9” tall and before stems toughen and seed heads develop. May be good to pair with a legume. Daikon or oilseed radish—Long radish roots will break up compacted soils. Choose a variety that will winter kill in your area and plant without needing to till or remove plant material in the spring. Clovers—Plant when weather cools in fall and till when weather begins to warm in spring for maximum nitrogen. Bush beans—Time planting so that first frost arrives during blossoming (about two weeks before harvest) in order to maximize nitrogen. If frost is late, kill before bearing pods and seeds. For more information and tailored advice, try out this cover crop selection tool. Select your management goal, planting time and how long you want the crop in place and it will give you your best choices, along with basic instructions and where to purchase. Categories: Home Production and Gardening, October 2015 | Permalink. Planting: Garlic is planted in rows 18” apart with 4” in-row spacing. Loosen and fertilize the soil and plant individual cloves 2” deep with the pointy end up. 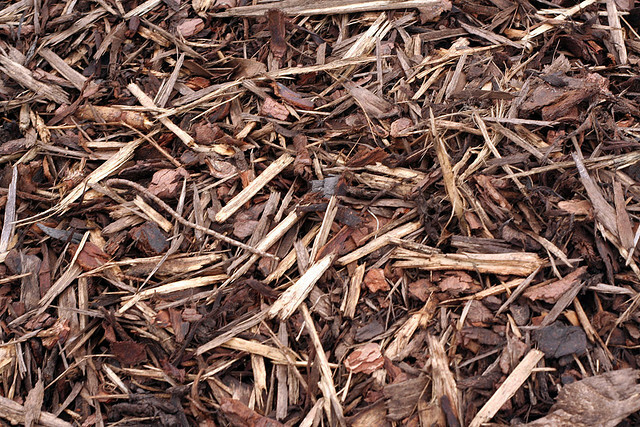 Mulch will help insulate over the winter and help keep weeds down as the weather warms. Plant 2 weeks before first frost—in our growing zone, we would plant the last week of October, preceding our first frost around November 14th. Growing: Water as necessary to keep soil evenly moist. Trim scapes (seed heads) when they start to point downward—this will improve bulb size. When the tips and outer leaves of the plant start to die, stop watering. Harvesting: About 2 weeks after you stop watering, your garlic should be ready to harvest. Loosen the soil around the bulb, grasp by leaves and pull gently. Curing: Tie or braid garlic leaves together and hang in a shady area (garlic can sunburn!) with good airflow. Allow to cure for a month or two until the roots are dry and stiff and the leaves are entirely brown. Garlic can be eaten during this time—curing just lengthens your storage time. Storing: Trim off dried roots to ½”. Optimal storage conditions are between 45F-55F degrees and 60-70 percent humidity. With thorough curing and under these conditions, garlic may last as long as a year. How to grow garlic video. How to braid garlic video. More info and recommendations for varieties. Categories: Home Production and Gardening, September 2015 | Permalink. As we approach the end of summer, are you getting ready to bid farewell to your garden till next Spring? Did you know that it is possible to continue to eat fresh produce from your garden through the Fall and even into the Winter? Though it is less common, Fall gardening uses the same basic skills, tools and principles as Spring/Summer gardening. There is a great Fall Planting Calculator at www.johnnyseeds.com/t-InteractiveTools.aspx (scroll down & click on Fall-Planting Calculator) that can help you get started on planning a Fall garden, but you can plant nearly anything that will mature before our first frost. Here in Zone 8a that is October 27th. Soil temperature must be taken into account when planting a Fall garden. Just as you may have started hot-weather plants indoors in the Spring to protect them from the chill, you may need to start some Fall crops indoors if their seeds do not germinate in hot soil. There is a useful table at http://heirloomseeds.com/germ-tables/ that will help you make that determination. Unlike cold-sensitive tomatoes, many Fall crops can be left in the natural refrigeration of Fall and Winter weather and harvested as you need them during those months. This includes most root vegetables, many cool-weather greens and some brassicas. Parsnips, brussels sprouts and artichokes are actually supposed to be at their best when frost-kissed. You will find that the growth of your garden will stop or slow significantly during the cold weather, but that many plants will begin to grow again when warmer weather returns in the Spring. Unbeknownst to me, my kids found a packet of seed peas in the garage last August and planted them amongst the remains of my Summer garden. They sprouted, grew to eight inches or so, remained that height through the winter, and then shot up and blossomed as soon as the weather warmed. We ate peas much earlier than we would have if we had planted in the early Spring! 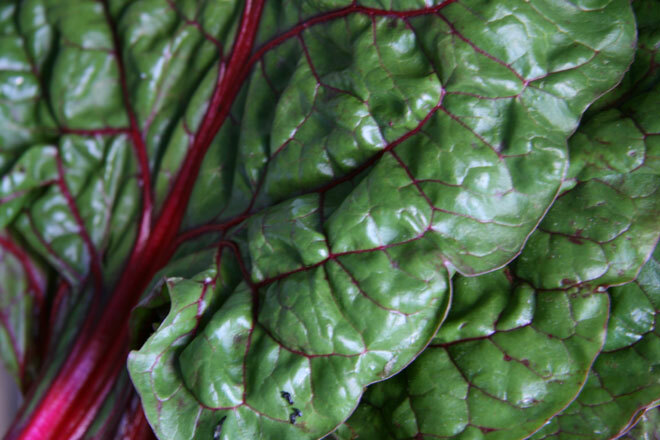 If you love eating fresh-from-the-garden, try your hand at a Fall garden this year. Good luck and happy harvest! Categories: August 2015, Home Production and Gardening | Permalink. Summertime… the livin’ might be easy, but managing meal preparation presents special challenges. While it might be tempting to resort to take-out for the next three months, this can put a serious strain on family finances. Below are some approaches to help you eat economically at home while keeping (relatively) cool. Do as much prep as possible during the cool hours of the day. Peak heat is typically between 3:00-5:00; if you cook dinner then, you and your kitchen will sweltering by the time you are done. A better strategy is to do the bulk of your prep and cooking after the sun goes down or early in the morning, when you can still catch a cool breeze. Just re-warm or put the finishing touches on it in the evening. This is also a smart strategy if your electricity rates are tied to time-of-use as you will avoid mid-day peak rates. Use your slow cooker. Prep your ingredients (in the cool of the morning), toss them in the cooker, turn it on and anticipate a great dinner at the end of the day. This list will get you all the way through to cooler temps. Use a roaster oven. This is a fantastic tool! Basically a portable oven, you can put food directly into it or place casserole dishes or loaf pans inside it for a more dishwasher-friendly clean-up and you can put it anywhere there is an electric outlet. Put it on your patio, deck or in your garage (make sure it is safe from curious pets and away from water sources) and you can enjoy baked and roasted foods midsummer without heating up your house. Plan no-cook or low-cook foods. Salads, sandwiches, tacos and baked potatoes with the fixings are usually quick and easy and can be even easier and more fun if you add “bar” on to the end and let everyone assemble their own. Look up “best salads”, “best sandwiches”, etc online for more good ideas than you will ever possibly use. Cook outdoors. Fire up the grill, see this month’s article on open-fire cooking or the June 2014 issue on setting up an inexpensive solar cooker. Categories: Home Production and Gardening, July 2015 | Permalink. Your local home supply store carries a dizzying array of garden soil amendments, but it is possible to supply many of your garden’s needs from things that you or your neighbors are currently throwing out. Bone meal—supplies calcium, nitrogen and phosphorus. Clean meat and fat from bones (poultry are easiest to process) and bake at 400F for about an hour or until bones are thoroughly dry and brittle. Allow to cool. Place in a heavy fabric bag or between two old towels and, while wearing eye protection, smash with a hammer until pieces are no bigger than 1”. Pulse in your blender until they are about the consistency of corn meal. Add to compost or sprinkle directly around bottom of plants. Egg shells—calcium and slug deterrent. Allow to dry thoroughly and pulse in blender until they are confetti-sized (for slug deterrent) or meal-like (the finer, the quicker the calcium boost). Place on surface of soil around slug favorites or in planting holes for tomatoes or other calcium-needy plants. Aquarium water—supplies nitrogen, potassium, phosphorus. If you have fish, don’t dump the dirty water down the drain! Some gardeners have noted even 2x increases in their garden productivity after beginning to use aquarium water. Apply straight or diluted. Fireplace ashes—supplies phosphorous, magnesium, potassium and calcium. Sprinkle lightly around plants to kill slugs, fertilize and raise soil pH, or add to compost pile. Avoid use if your soil is very alkaline. Dry leaves— supply nitrogen, potassium, phosphorus and trace elements. Run your lawn mower over leaves in the Fall to shred. Leaves may be added to compost, tilled or raked into the soil or used as a mulch. Vegetable scraps and waste—various nutrients. Save peelings, tops and spoiled vegetables and fruits from your kitchen and add them to your compost piles or till into soil in the fall to break down over winter. The smaller the pieces, the quicker they breakdown. Whey—provides nitrogen, phosphorus, potassium, magnesium and other minerals. Whey is the leftover liquid from making cheese or yogurt. Mix 1:1 with water and apply 1 gallon per 10 square feet of garden space. Coffee grounds—supplies nitrogen, potassium, phosphorous, magnesium and copper; kills slugs; deters fire ants and feeds earthworms. While you may not have an abundance of leftover coffee grounds, your neighbors or local coffee shop might. Some shops have company policies about saving grounds for gardeners, so ask. We have gotten them in bags, or you can supply your own bucket for collection if you prefer. Sprinkle on surface, rake or till lightly into soil at about ½” per application. Categories: Home Production and Gardening, June 2015 | Permalink. Grate one bar of soap—Zote, Fels Naptha or unscented Ivory are all good choices. Place grated soap in a pan with 2 quarts of water and heat slowly, stirring constantly until soap is completely dissolved. Put 4 ½ gallons of very hot water into a 5-gallon bucket and stir in 1 cup each of borax and washing soda until completely dissolved. Add soap mixture to the 5-gallon bucket and stir well. Cover and let sit several hours or overnight. Stir until smooth. Pour into dispenser. Use ½-1 cup per full load. Grate soap with cheese grater or food processor. Mix all ingredients together in a large bucket. Use 2-4 Tablespoons per laundry load. Mix well and use according to washer instructions. I have a friend who washed her laundry with salt alone for a time. Salt is a fairly good stain and grease remover and is often used both to set and brighten colors. Use ½-1 cup per full washer load. Another option is soap nuts. These are the fruit of a tree (Sapindus mukorossi) that grows in Asia. They are naturally high in saponins and can be used in washing clothes, dishes and bodies. They have the added benefit of being mildly insecticidal and helpful in the treatment of eczema. Categories: Home Production and Gardening, May 2015 | Permalink.